This delicious Southwestern Egg Casserole uses ingredients you probably have on hand! I try to keep my fridge well-stock with vegetables and in the section for Low-Carb recipes you'll find an assortment of egg casseroles ideas that include veggies like Kale, Broccoli, Swiss Chard, Spinach, bell peppers, mushrooms, and even asparagus when it's in season. 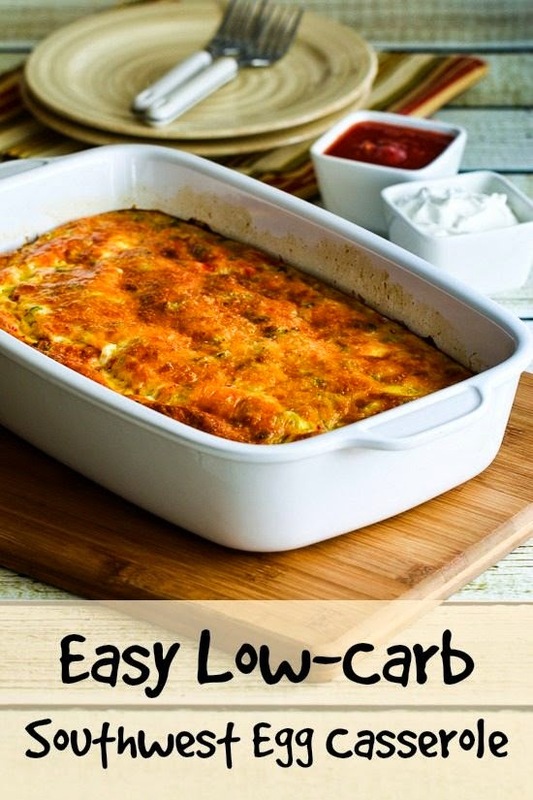 But this Easy Low-Carb Southwest Egg Casserole is a recipe I came up with many (many!) years ago when the vegetable crisper was empty and I didn't want to go to the store. The recipe uses drained canned tomatoes, canned green chiles, Mexican blend cheese, spices and eggs to create a delicious breakfast casserole that uses ingredients you probably always have on hand. I love this with a generous dollop or sour cream and salsa to continue the southwestern flavors; hope you enjoy!